A Davis Park home listed for $825,000 features a spiral staircase made from Douglas fir. 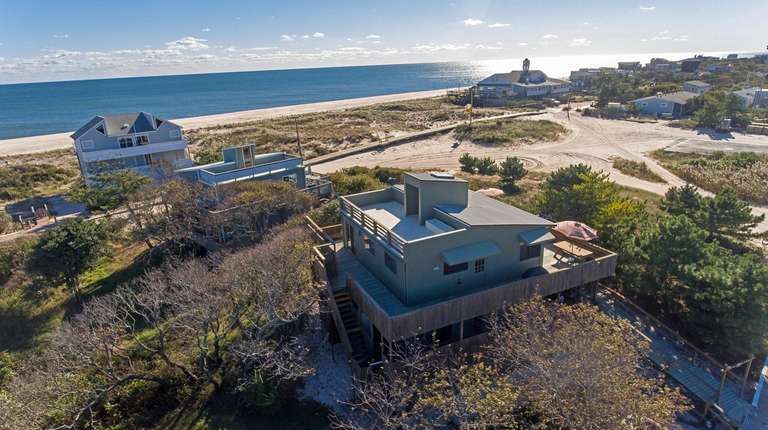 An 1,800-square-foot home features panoramic water views of the Atlantic Ocean and the Great South Bay. The four-bedroom, two-bathroom Contemporary features exterior doors and decking leading out from every bedroom as well as a kitchen with wood beadboard ceiling and walls and a rooftop deck. Renovations four years ago include updates to walls, floors, the kitchen, bathrooms, decks, siding and roof, says listing agent Mike Dougherty of K.P. Property Group.